THE VANISHED HOUSE – A two-room frame dwelling recently erected by Messrs. G. H. and M. A. Currie, of Clarkton, in Federal Point Township, to replace one that was burned by an incendiary three months earlier, was torn down and removed to some point not yet revealed to the owners and the tenant, Taylor Clifton, an aged white man, who was missing and there was a suspicion that he had met with foul play. Mr. Clifton had lived in the house for two weeks earlier, having moved there from Clarkton, and he had relatives living in Wilmington. THE VANISHED HOUSE – The vanished house on the Cape Fear River, near Carolina Beach pier, was found. Deputy Sheriff W. H. Kermon reported that he found the lumber of the dwelling that disappeared in the yard of Mr. T. H. Nelson. Five men, Messrs. A. W. Pate, W. M. Pate, and T. H. Nelson, white, and Frank Murphy and Henry Farrow, colored, were arrested under a warrant charging that they had removed the house. Warrants were out for two other colored persons. The old man who mysteriously disappeared about the time the house was torn to the ground was reported as having left Wilmington on a north-bound train. Why he left the house immediately preceding its demolition was still a question. THE VANISHED HOUSE – Complaint in the case of Alexander W. Pate and Joseph J. Loughlin against Geroge H. Currie and his wife, Nell A. Currie. W. H. Kermon and H. Mack Godwin, was instituted in Superior Court. It was an action for $10,000 alleged damages to land in federal Point Township which the plaintiffs claim have been in their absolute possession for over 30 years. The land in controversy, Mr. Currie claimed was inherited by him. It was now a part of a large tract which Messrs. Pate & Loughlin, under the name of New Hanover Transit Company, were developing in Federal Point Township. The bringing of the suit by Messrs. Pate & Loughlin follows closely the indictment of Mr. Pate and six others on a charge of demolishing and removing a small two-room frame dwelling which was located on the land in dispute and occupied the site of another small building which had been burned about three months earlier. The building had been erected by the defendant Currie. The plaintiffs allege that the defendant in the action did, with force and arms, on December 22nd, 1913, enter upon a portion of this tract at the southwestern part and trespassed upon land which had been in the possession on the plaintiffs for a long time and was at that time posted. It is further averred that a shack was built without the knowledge of the plaintiffs and that the defendants did wrongfully place some person in charge of the building for the purpose of wrongfully taking possession of the land in question. A few days later the shack was burned and the plaintiffs aver that they are informed and believe that the fire occurred through the negligence of the agent of the defendant. The defendants repeatedly trespassed and entered upon the land after having been warned not to do so. The complaint further sets out that the defendants had greatly damaged the property and had cut down trees. On or about April 29th, the defendants with a large force of men did build a barbed-wire fence along a portion of the lands in spite of a protest entered by Thomas E. Nelson, an agent of the plaintiffs. A small house was built on the lands and this act had brought a cloud on the title to the land which had caused the plaintiffs great damage. The plaintiffs contended that the defendants had wrongfully, maliciously and willfully, with force and arms, attempted to wrest the possession of a portion of the said lands from the plaintiffs. 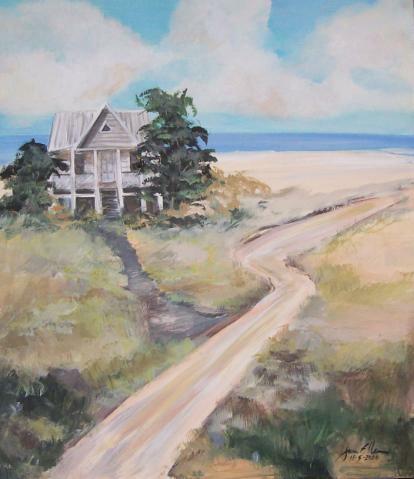 THE VANISHED HOUSE – Two hundred dollars was Taylor Clifton’s price for decamping, according to evidence before the Recorder Judge in the case of J. J. Loughlin, Esq., and T. H. Nelson who were being tried for destroying a house near Carolina Beach. Clifton was now appearing against Nelson and Loughlin and his story served to clear some foggy points in the case. He said that he was taken to the house by Mr. Currie, and instructed to stay there. On the following day, Mr. Loughlin came to him and asked him who he was and what he was doing there. Clifton said he told him that he was there for Mr. Currie and had instructions to keep trespassers off the property. Mr. Loughlin then told him that the property did not belong to Mr. Currie, and that he had best get off. Clifton then said that he did not see Mr. Loughlin again until several days later at Carolina Beach, when he informed Loughlin that he would not get off the land until he had heard from Mr. Currie. Nothing then occurred for several days. Clifton said he could not sleep at night, because of unusual noises around the house – men talking in low tones of voice, etc. He said he was frightened. Ten days after he had arrived at the house he was approached by a man named Bryan, whom he said was employed by the Hanover Transit Company, of which Mr. Loughlin was an officer. Bryan asked him how much he wanted to get out. Clifton said that he replied that he would not leave for less than $200. Bryan then replied that he would see what he could do, and left. He returned the next night and said that Clifton had a chance to get the $200 if he wanted it, whereupon the old man told him to bring it along. Some mothers went to the beach with their children. One family had a little dog that walked in front of their young son to keep him from going in the ocean. Some children could go to the beach in the day time where they could be seen, but not after dark. Older kids would sit on the pier or on beach blankets. No one had chairs. They’d play in the water, walk on the beach, look for shells, talk, and be teenagers. It was an innocent time. Lawrence Kure told 14 year old Isabelle Lewis, Punkie Kure, Roberts Hall, and Sun Waters not to jump off the end of the pier (1943-44). They nonchalantly walked out, and then ran to the end of the pier, jumped in the water, and swam back. In the 1940s, the ocean had big waves. You used an inner tube or jumped on a wave and body surfed. 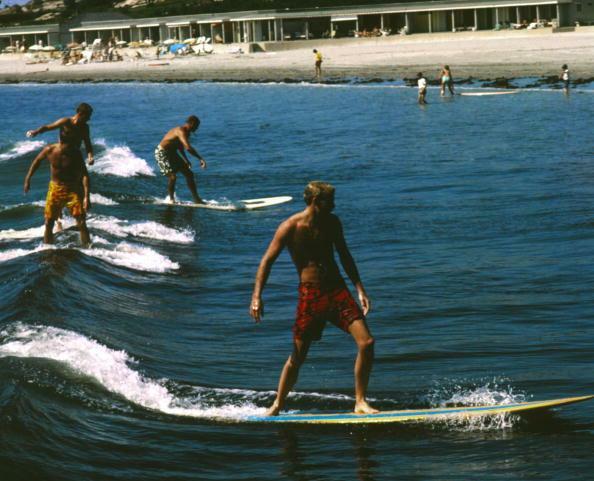 Surf boards or boogie boards hadn’t been invented yet. Body surfing was swimming with the crested wave, going down like a surf board, and skidding in. 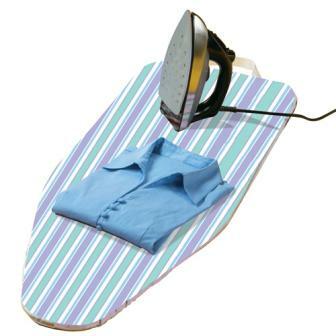 A perfect surf board for riding the waves was mother’s ironing board – a flat board about 5 ft long – 2 ft wide that lay between 2 chairs or on the kitchen table. “When the wave breaks, you’ve got to keep the nose of the ironing board up. If the nose goes down, the point digs into the sand and you “could flat get a belly ache.” Some Moms didn’t know her son used her ironing board until he forgot to bring it home. Some surfers got a wide board and cut it bow-shaped. Later Andy Canoutas obtained a 15’ surf board made by a friend, hollow on the inside so water had to be drained after each use. Mike Robertson brought in surf boards to rent at Kure Beach Pier. Andy Canoutas was the first paid life guard by local businesses at Kure Beach when he was 15 (1950). Andy guarded up to 1963 from the first jetty south of the pier to the next jetty with a stand for him to sit on. He wore short, tight suits like boxer shorts. Tourists from nearby cottages crowded the beach with the life guard. Parents would look after the little ones; but the 8 to 11-year-old boys were the wild ones. In times of danger, Andy had a whistle to get their attention. He used a buoy to rescue a lot of people because of rip currents. Bobby Ford and Eddie Neidens were life guards. No radio or phone was available to call for help; but the lifeguard had a key to the Town Hall to get to the oxygen system. Individuals also saved lives of friends and neighbors stepping in a hole in the beach with tremendous sand bars at low tide and quickly going from waist deep to neck-deep, or caught in the rip current.